Upgrade to a Premium Listing and receive up to 40% more views on our website! How do Premium Listings get more views? A premium listing is more noticeable and robust. Unlike our standard listings that include basic contact information, our premium listings give you a visual advantage over the rest by utilizing graphics and a detailed “read more” page about your bar. Together, these benefits help push your bar ahead of your competitors to explain why your bar is better. Most importantly, a landing page that helps your business’s online presence is extremely valuable to your marketing efforts. What are you waiting for? Get your Premium Listing started today! We are a secure site () optimized for all major search engines, including Google, Yahoo and Bing. Premium Listings Receive up to 40% More Views! 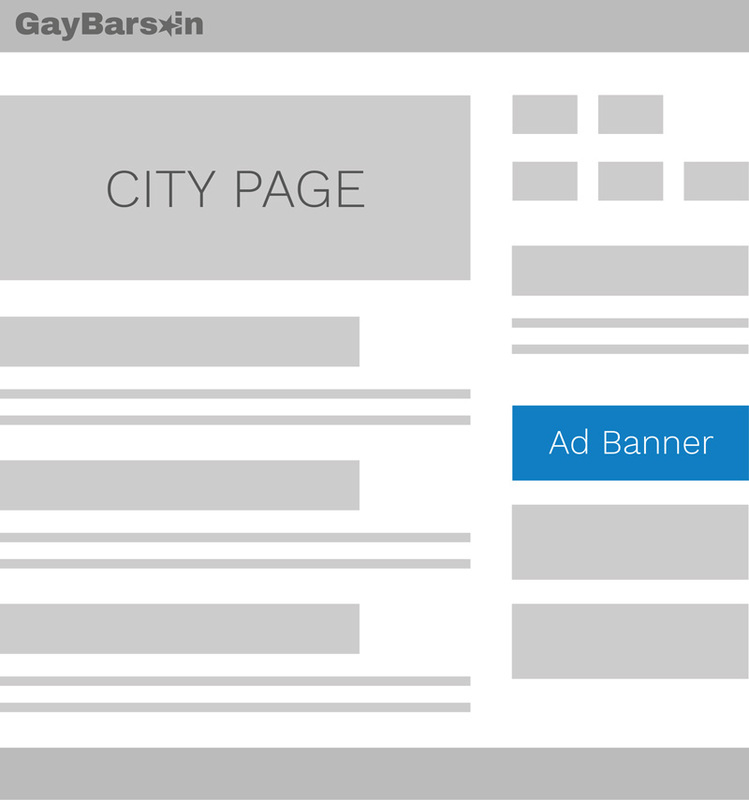 Ad spots for both city and state can be obtained by the same bar at an additional cost. Please review our pricing options to see what works best for you. 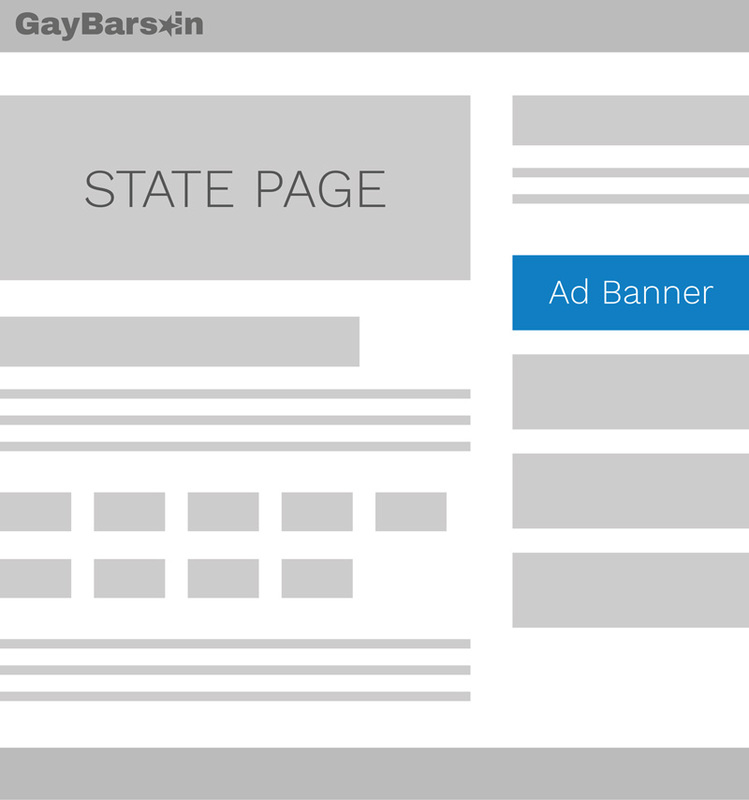 **By default, banner ads only appear on the business location’s respective city and state page. Advertising on another city page is optional with purchase of the Competitive Package add-on. Ad position and rank on page is subject to change. 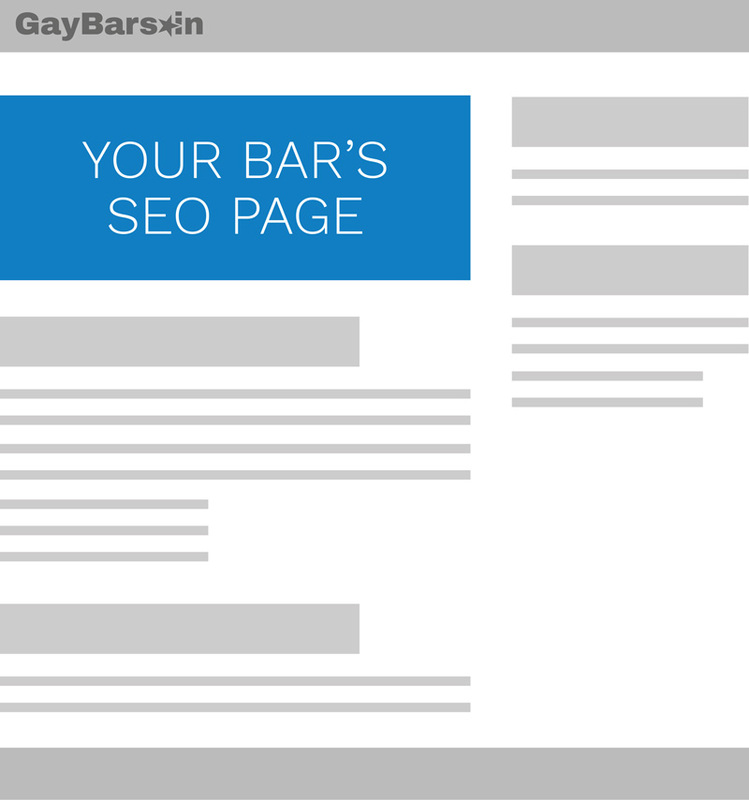 SEO (Search Engine Optimization) landing pages are “search-friendly” pages to help boost your company’s web presence; which help make your bar easier to find online. They’re especially ideal for giving viewers a brief overview of your business and services! If you’ve got it, flaunt it! This image badge is a great way to show visitors on your website your new listing page. It’s optional to use, but a simple and effective way to link back to your listing on GayBars.in. Here’s a non-linking example of what the badge looks like. *Video slideshow is approximately a 30-second slideshow using images of the respective business. Photography is not provided. This offer is only available for those purchasing both city and state packages. Video is made available through GayBars.in YouTube channel.